Explore Africa Tour specializes in curating itineraries that reflect the history, culture, beauty and taste of Africa for you to enjoy and experience. Expand your borders, explore the motherland. A transformative and memorable getaway to the continent of Africa begins and ends with Explore Africa Tour. We are an experienced team with over 10 years of touring around the continent and we all share an incredible love affair of the Motherland. We specialize in curating itineraries that reflect the history, culture, beauty and taste of Africa for you to enjoy and experience. Yes, we know that anyone can just book a ticket and go, but not everyone can plan and execute the ultimate African experience. As locals and insiders, we know the best spots, the most sought after attractions, just think of us as your personal African concierge. We design the itinerary, provide the transportation, provide your meals.....everything, right down to the minute details. The only thing we request of you, is that you arrive ready to see Africa differently. Arrive ready to throw off the preconceived notions of this great continent, and arrive ready to create memories that last a lifetime. 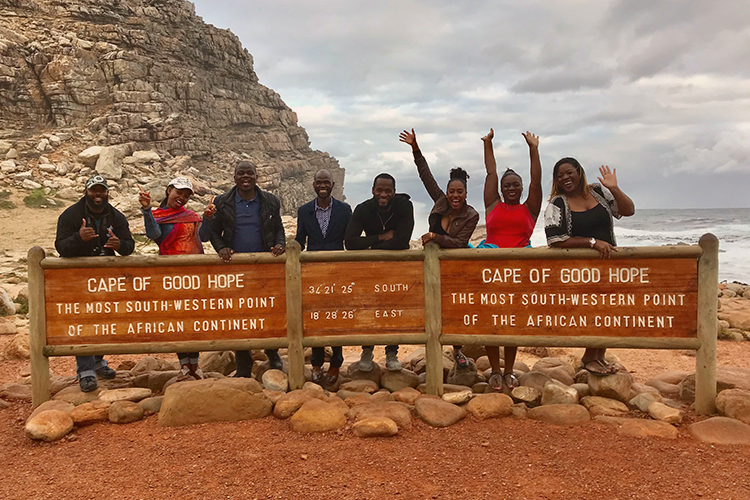 "The Explore Africa tour was simply amazing! Normally group trips feel forced, but everything from the tours, to the wildlife safaris felt like the genuine African experience you would expect from a trip such as this! The people on our trip were awesome and it was definitely something I'm glad my wife and I did, although be warned...South Africa will steal your heart." I have zero regrets joining the Explore Africa Tour this past fall. Our tour guides selected a balanced itinerary which included a blend of culture, aesthetic beauty and amazing outdoor activities! If you're thinking of going, don't think. Just go!